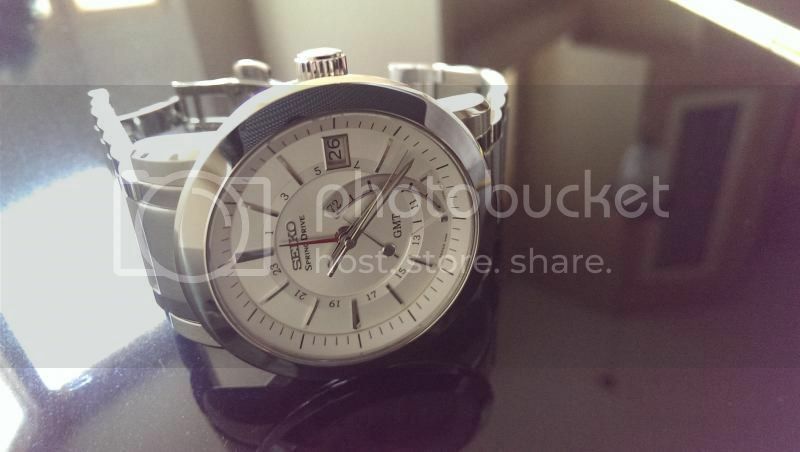 TimeZone : Seiko » Latest addition: a Spring Drive finally! As a Seiko fan I've always wanted to add a spring drive to the stable. The prices of high-end seiko's have been creeping up for the last few years so obtaining one seemed unlikely in near future. I was visiting the in-laws with the family in another town and walked into a small watch-store which I knew carried a pretty wide selection of JDM citizen, seiko, and casios...although usually no high-end models. Imagine my surprise when I spotted the spring-drive GMT in the display. 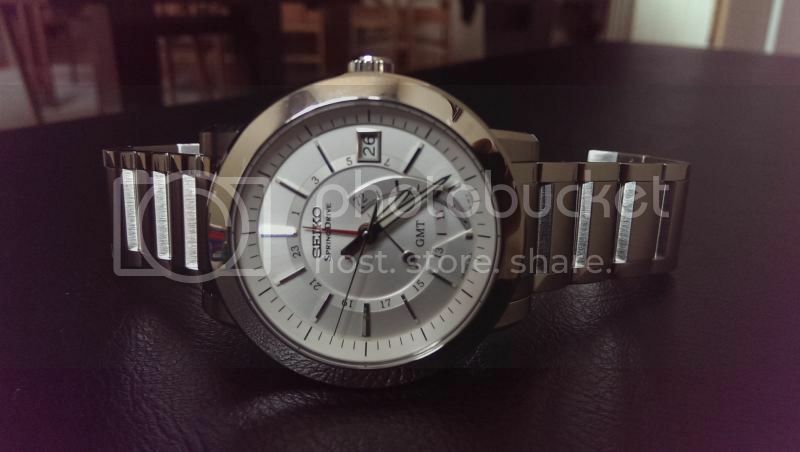 I had eyed this model years ago when it first came out as Seiko's first foray into 'high-end' and 'spring drive' in NA..but passed on it and it had not been easy to find on secondary market since. It was quite a pleasant surprise to see one NOS. With the wife's approval I was able to bring it home. Just want to share a few quick shots.